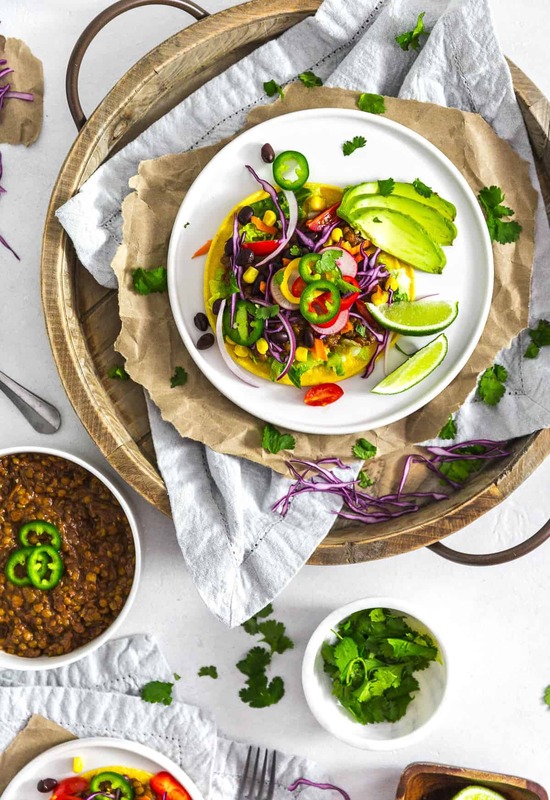 Incredibly flavorful and delicious, these lentil tacos couldn’t be any easier. 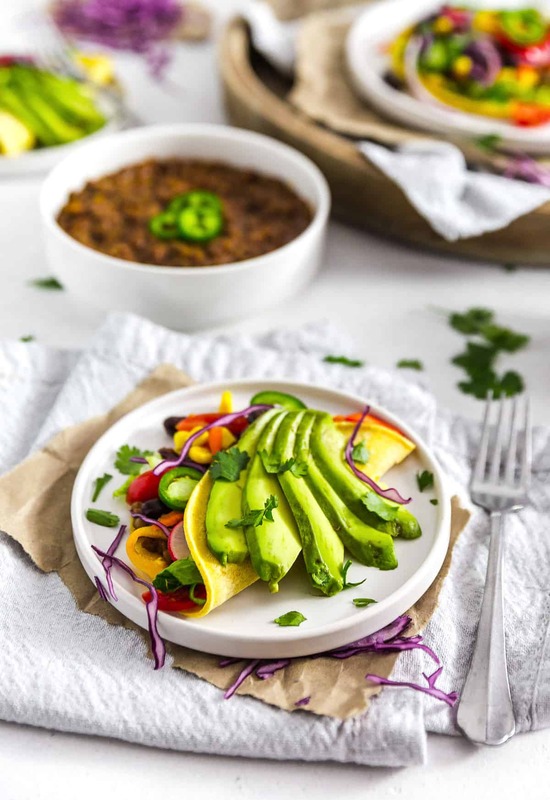 Put all the ingredients into an Instant Pot set for 14 minutes, and you are ready for perfectly yummy taco-seasoned lentils that can be served in a variety of different dishes, keeping dinner preparation to under 20 minutes. 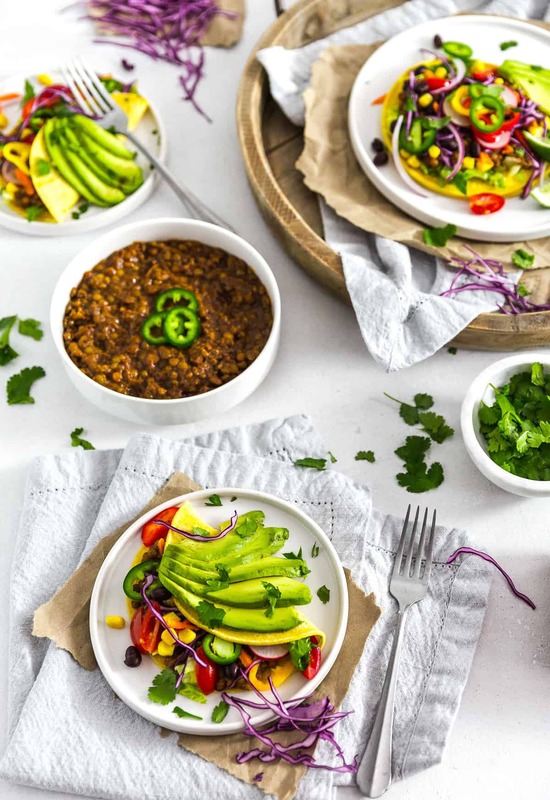 Perfectly seasoned just right, these taco lentils are great for Taco Tuesdays, taco salads, nachos, burritos, enchiladas, quesadillas, baked potato toppers, and Taco Joes, making them an ultimate Whole Food Plant Based “endless dish options” recipe! Vegan, no oil, no refined sugar, no highly processed ingredients, and gluten free. Of course, we had to test our taco flavored lentils recipe in our Instant Pot. We had been previously kitchen testing it on the stove top over the past several months. We were close to perfecting this recipe, then once we got the Instant Pot, we decided to do the final test with that. Our goal was to just place everything in the Instant Pot and be done with it. It took a few tiny tweaks, then we were completely ecstatic with the results. 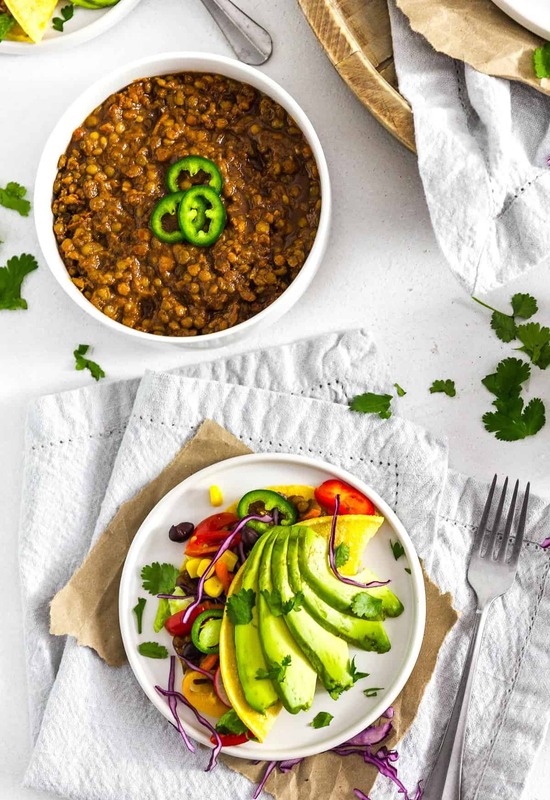 Our Instant Pot Taco Lentils turned out fabulous. We were doing a happy dance while chowing down. 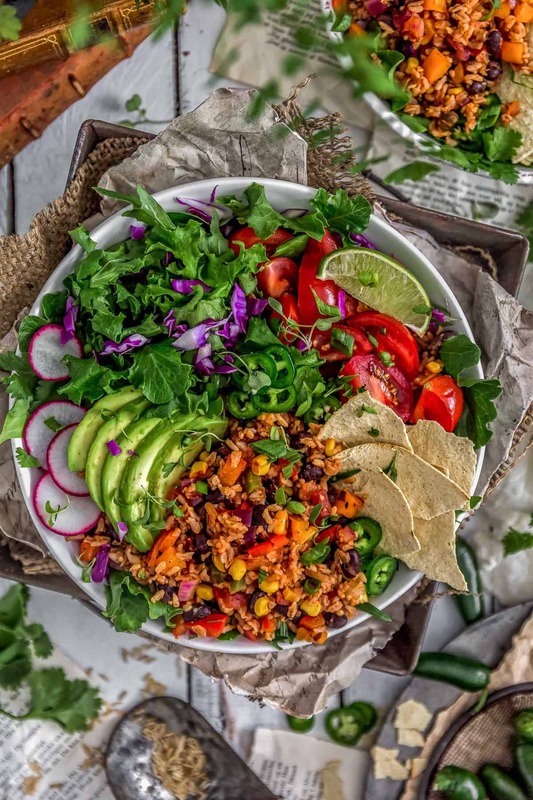 Shredded carrots, all types of lettuce, finely shredded purple cabbage, finely sliced red onions, sliced grape tomatoes, all types of finely diced bell peppers, avocado slices, corn, black beans, radishes, cilantro, finely sliced jalapeno peppers, and salsa. Literally any type of vegetable that compliments a taco, goes onto our lentil tacos. They are so delicious. 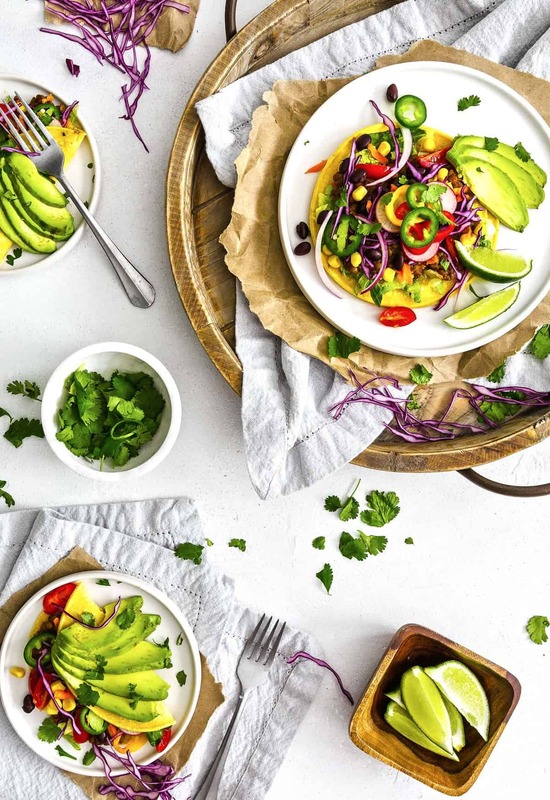 You simply can’t go wrong with a taco that bursts with flavor and color. Who can resist, right? You know what else is so flippin fantastic about this recipe? It is an amazing recipe for food prepping because it is so gosh-darn versatile. While we absolutely love our “Eat the Rainbow” Instant Pot Lentil Tacos, my dad goes crazy over our “Taco Joes.” Think “Sloppy Joe” and you get the idea. All you need to do is toast a Whole Food Plant Based compliant bun (bread, etc. 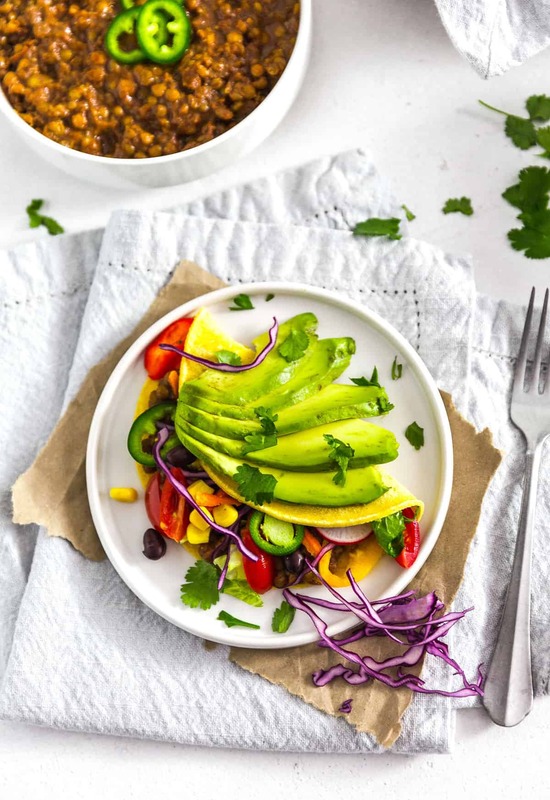 ), then load it up with the taco seasoned lentils, lettuce, tomatoes, avocado slices, jalapenos and salsa, and you are in heaven. We make ours open-faced because we typically load them up. We also love to make taco salads with them. 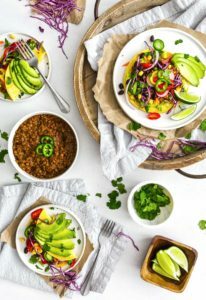 I love warm taco lentils on a cold salad. Soooo good. They are also super yummy in burritos, enchiladas, and quesadillas, not to mention as a nacho snack. Soooo good! I also love putting them on a baked potato as a topper, along with an avocado. It really sends a regular baked potato over the top! You could literally eat them a different way each day of the week and not get bored with them. Yes, yes, yes, we finally got an Instant Pot. I have been putting it off since I was not 100% sure I wanted to spend the money on it. I have an “Easy Bean Cooker” pressure cooker and I have been perfectly happy with it. We use it at least once a week to make hummus, so when Monkey wanted to get an Instant Pot, I wasn’t sure it would bring value since I already had a “pressure cooker.” I knew that Instant Pot has a following, and we got a ton of Instant Pot questions on our blog, so it made sense to get onboard. Love it! Some of you have probably had yours for years and are probably thinking, “it’s about time,” and I would agree with you. We have been using it like crazy ever since we opened the box. Stay tuned for a ton of new Instant Pot recipes. My favorite way to eat these taco seasoned lentils is in a taco salad. I warm up a cup of them and toss them in a salad with a ton of raw veggies and use salsa as the salad dressing. Sooooo delicious! If you haven’t tried them this way, you simply have to! You won’t be sorry. 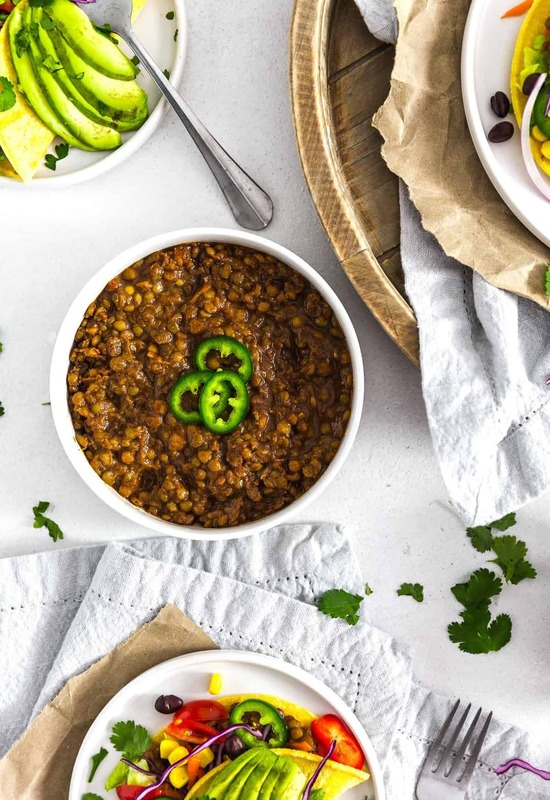 Place all the Taco Lentils Ingredients (except the lentils) into an Instant Pot, and stir well to combine everything. Make sure you blend the tomato paste into the mixture. Pick through and rinse the small brown lentils really well, then add to the Instant Pot. Set the Instant Pot manual high pressure cook for 14 minutes. When finished, allow to sit undisturbed for 4 minutes, then do a quick release. Carefully remove the Instant Pot lid. Add a little water if the lentils are too dry. The water will instantly blend when stirred. The Taco Lentils can be served in a number of different dishes. See serving ideas. Place all the Taco Lentils Ingredients (except the lentils) into a ceramic/enamel lined Dutch oven, and stir well to combine everything. Make sure you blend the tomato paste into the mixture. Increase the heat to boiling, then immediately lower to a simmer. Pick through and rinse the small brown lentils really well, then add to the Dutch oven. Simmer until the lentils are tender, approx. 40-50 minutes largely dependent upon which lentils you use. 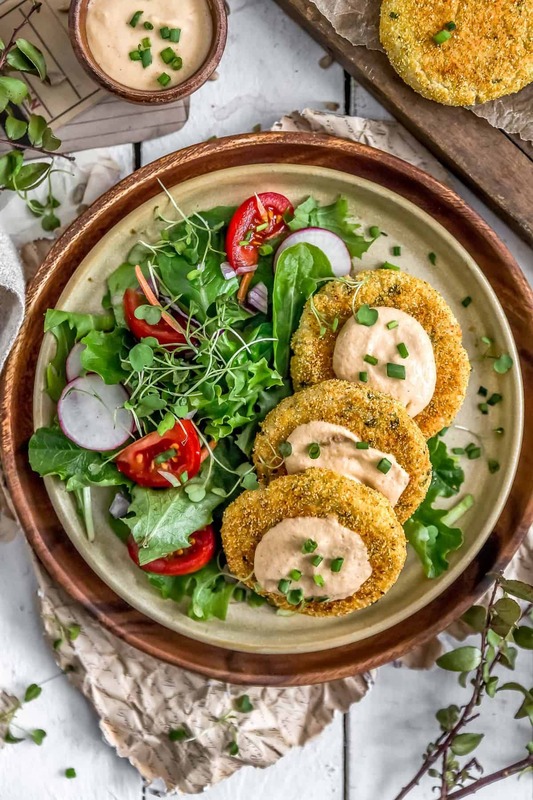 *Small Brown Lentils (Pardina/Spanish Brown): You can substitute any type of lentil for the brown lentil (other than red); however, you may need to adjust the cooking time. Small brown lentils typically cook a little faster than green lentils. We have found that the Small Brown Lentil works beautifully with this recipe. *Sea Salt: Sea salt is based on personal preference. *Nutritional Information: Does not include toppings. Shows sodium for only 1 tsp of sea salt. *Serving: Makes approximately 5 ½ cups of taco lentils. I just found your blog and I’m excited to try out your recipes. 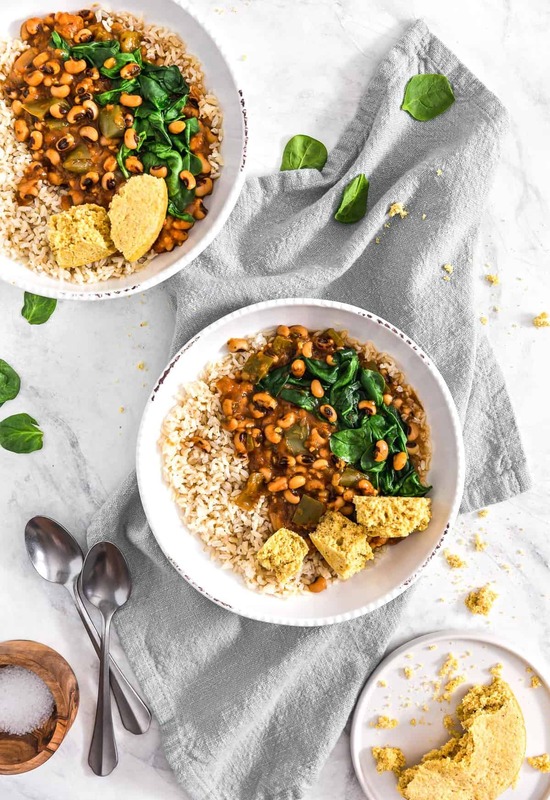 Is there a way to make this recipe without an Instant Pot? Yes, you can totally make this recipe on the stove top. As a matter of fact, we originally made this recipe on the stovetop. All you need to do is put all the Taco Lentils Ingredients into a pot, place it on the stove and simmer it until the lentils are tender. Could this be done crock pot? Thank you so much for reaching out to us! Yes, we feel that this dish work well in a crockpot; however, we have not kitchen tested ourselves so we don’t have any times or settings for you. The important piece would be monitoring the tenderness of the lentils until they are tender.